Here’s another former Bugeye owner (had one in the 60s) who added a new Bugeye to his life! This is Mr Walker and his new Bugeye “Miller,” a car you might have seen recently for sale on our site. In the photo below, you see him with son Scott. 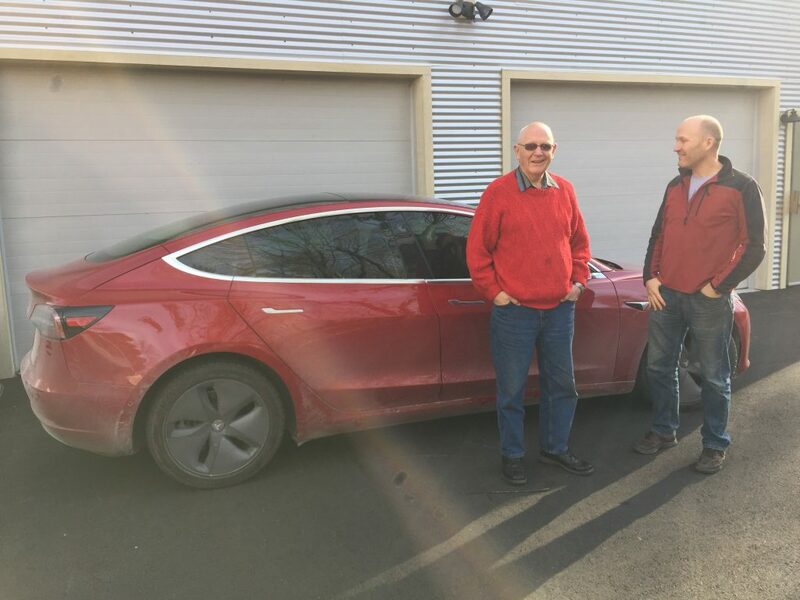 The two Walkers came to visit us in Scott’s new Tesla Model 3, all the way from North of Toronto (see below). It’s fascinating to me that they came in an electric car, particularly since all modern electrics require some extra thought to use. They needed to charge-up three or four times along the way on their ten hour trip. Tesla’s software and mapping makes that easy, but life with an electric car requires active participation and thought in a manner similar to interacting with an old British car. 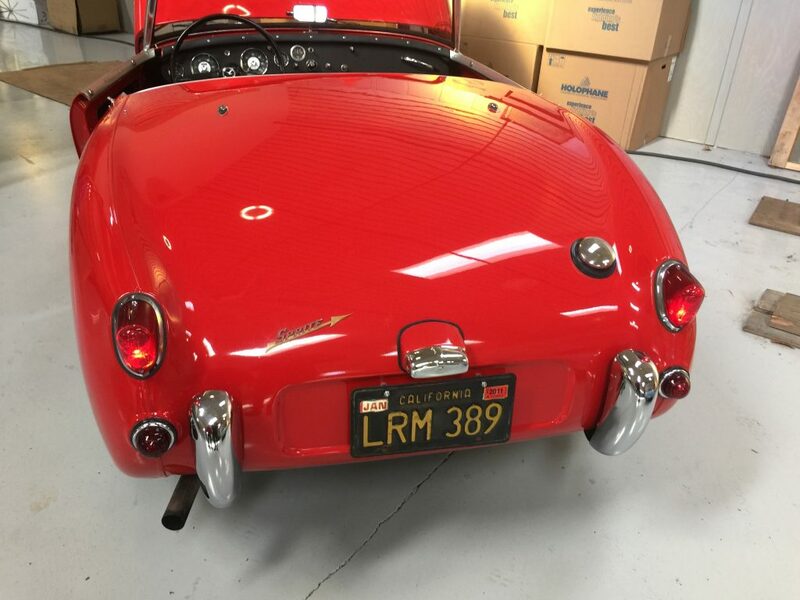 Driving around in a classic English car, one inevitably knows about what could go wrong and how one might fix it. Driving in a Tesla, one has to know where you could run out of juice and how to string together charging stations. 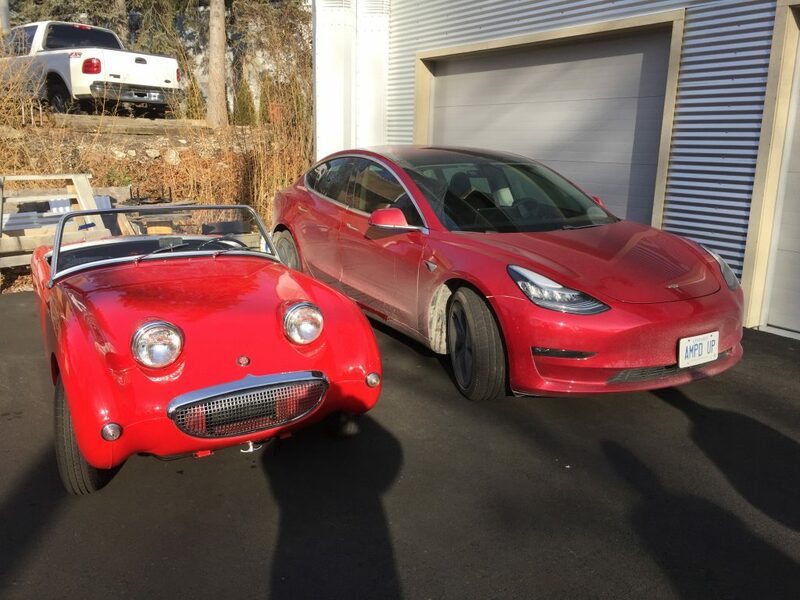 While the two cars couldn’t be more different, life with a Tesla today is actually a lot like life with an old English car. It’s an active relationship. 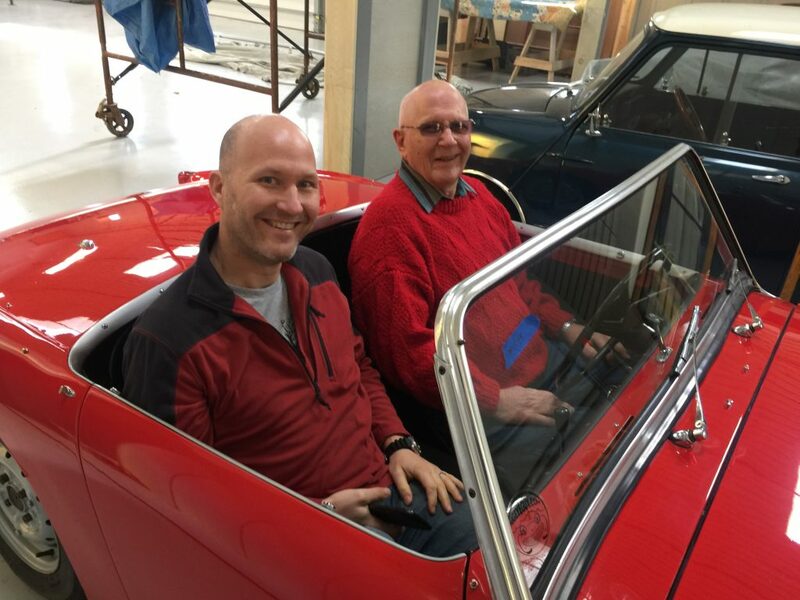 So I found it fascinating that father was getting back into Bugeyes, while son has found his passion in a new Tesla. There are more similarities to the two categories of vehicle than I initially might have thought. 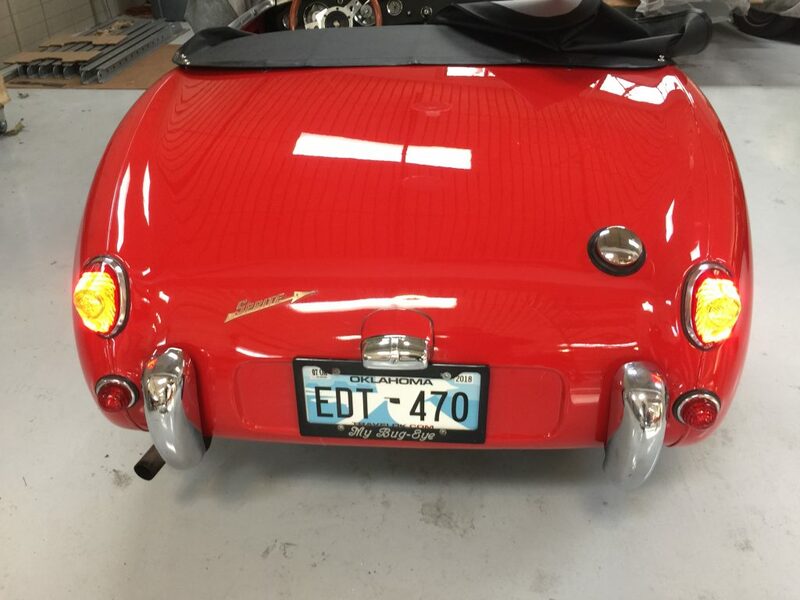 We are fitting out Miller for it’s trip to it’s new home in Canada and I wanted to share a “before” and “after” photograph of the new LED tail lights we are fitting to Miller. In the photos below, you can see the stock lights on a Bugeye, and then the new LED lights on another car. The difference is quite striking, and as more and more people seem to be paying less attention to the road, those brighter lights might just save your life. You can find our LED kit by clicking here.